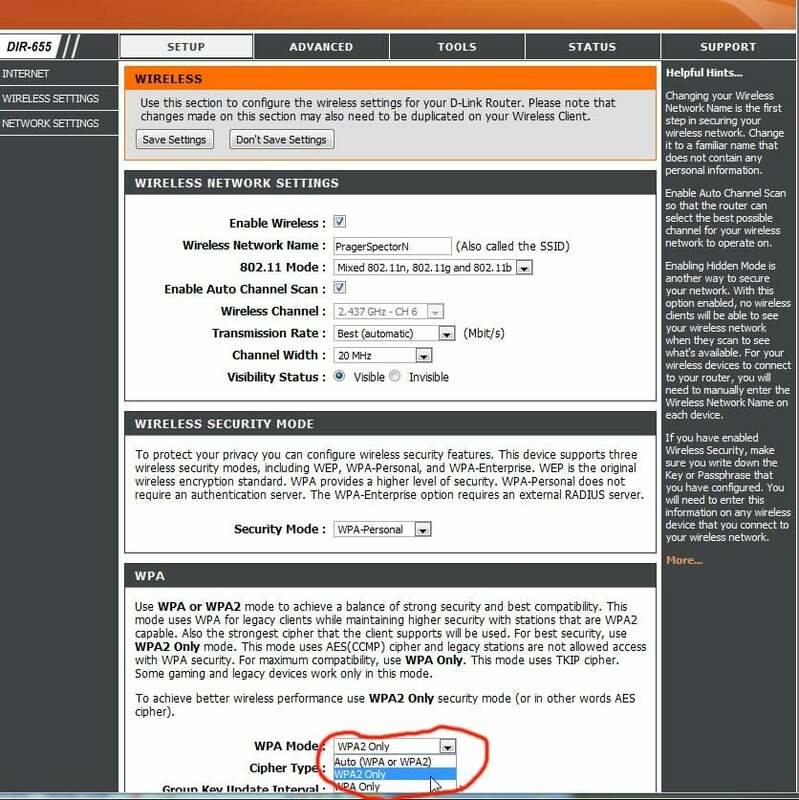 USANomad asked the Answer Line forum how he can let visiting friends wirelessly access the Internet while protecting the PCs on his network. from less trustworthy strangers. This involves password-protecting your WiFi network. Since I don't own your router, I can't tell you exactly how to do this. (The image here is of my router.) Check your router's manual for instructions. Your router will probably offer several encryption options. Go with WPA2 encryption. It's secure, and unless someone visits with a very old laptop, there should be no compatibility problems. If there are, WPA is your second-best choice. Avoid WEP encryption unless it's absolutely necessary. And whatever encryption you pick, choose a strong password. Your friends can now get onto your network and thus, onto the Internet. So how do you keep them from accessing other computers on the network? Assuming, of course, that you don't think asking them nicely is sufficient. click Start, right-click My Network Places, and select Properties. From the top menu, select Advanced, then Advanced Settings. 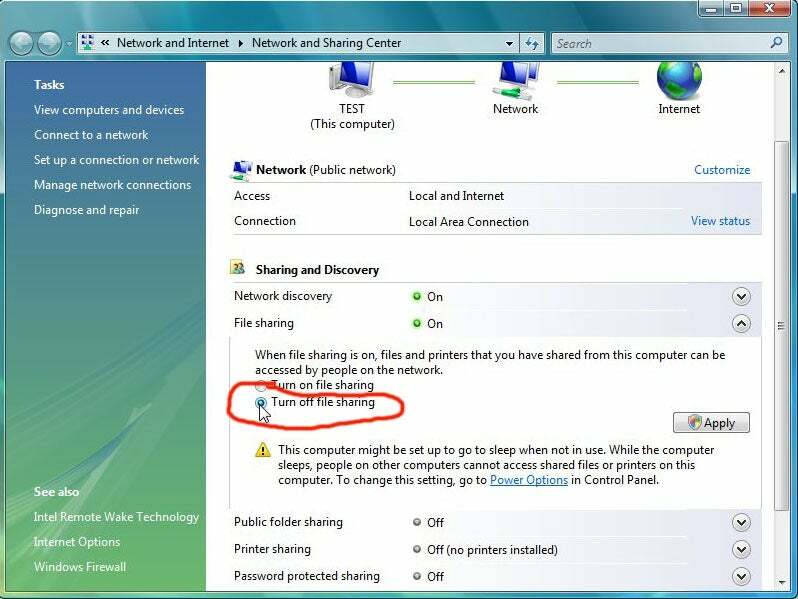 Uncheck File and Printer Sharing for Microsoft Networks. can click Start, right-click My Network Places, and select Properties. Expand the File sharing section and Turn off file sharing. Click Apply. 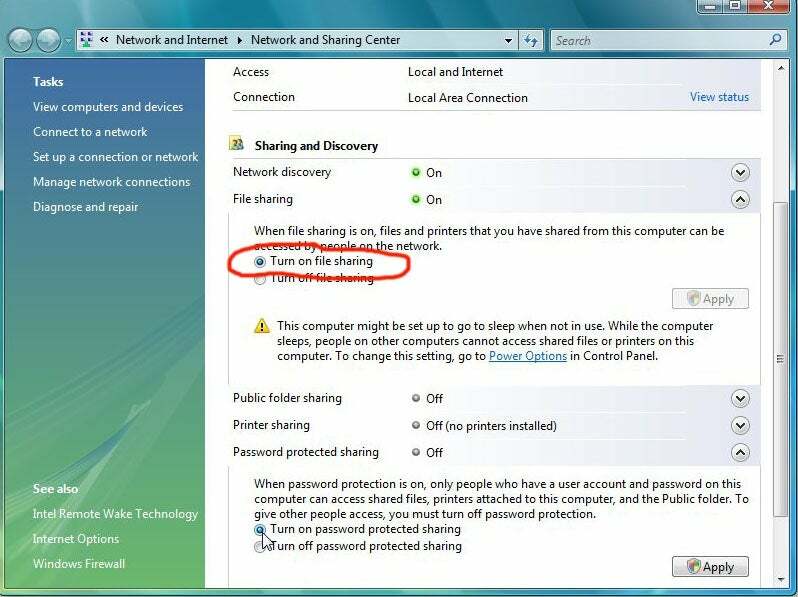 click Start, type advanced sharing and select Manage advanced sharing settings. Select Turn off file and printer sharing. click Start, right-click Network, and select Properties. Expand the File sharing section and Turn on file sharing. Click Apply. 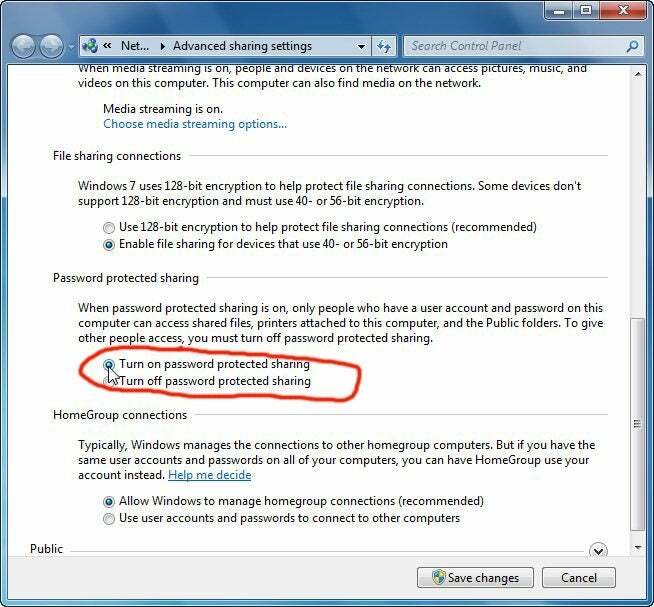 Expand the Password protected sharing section and Turn on password protected sharing. Click Apply. 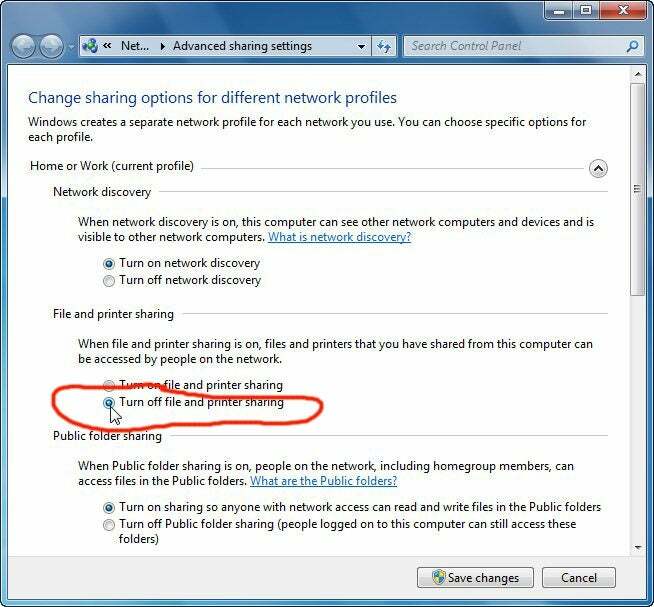 type advanced sharing, and select Manage advanced sharing settings. Select Turn on file and printer sharing. Scroll down a bit and select Turn on password protected sharing. * Officially, there's no way to do this in XP. But for a workaround, click here and scroll down the page to the headline "Protect Shared Folders." Finally, if a folder contains really sensitive information, don't share that folder. Or better yet, store it in an encrypted vault, and open that vault only when you need what's inside. I recommend the free, open-source Truecrypt for this job. There are other options. 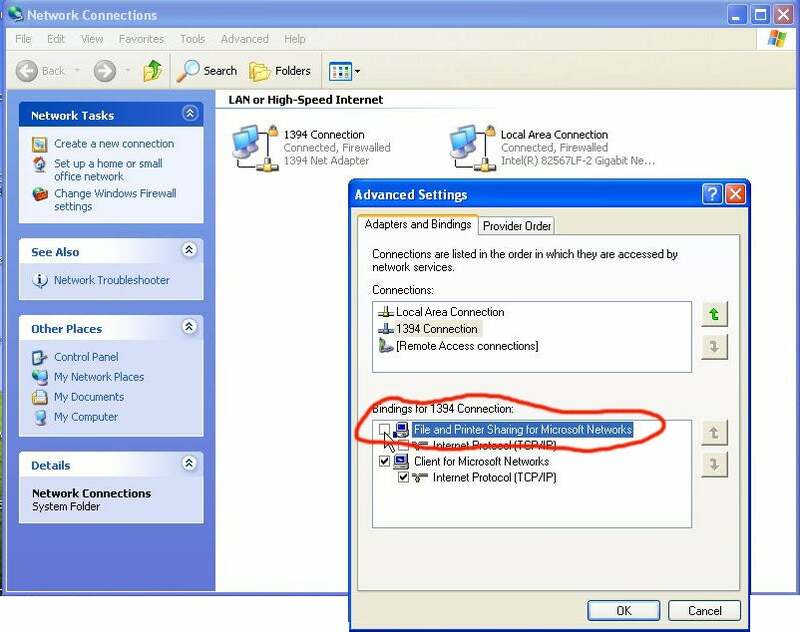 The original forum discussion contains a discussion on setting up a router with two networks--one private and one public.